Creating Node.js modules that act like ILE programs is one of the main purposes of Profound.js. Using Profound.js, you can call these modules directly from your existing applications. These programs can have either in-put parameters or out-put parameters that can be passed by reference. After creating a Node.js module that can be called from your existing application, you can then pass parameters in and out of those modules. A proxy program is typically used to help pass information along to Node.js (see Figure 2). The documentation for most NPM packages show that the data comes back into a "call back," which is a separate function that receives the output. These asynchronous "call backs" work very well within most scenarios, including event driven applications, but aren't great for transaction business applications. Fibers allow you to get rid of the "call backs" and turn those asynchronous API into more of an easy to call code. 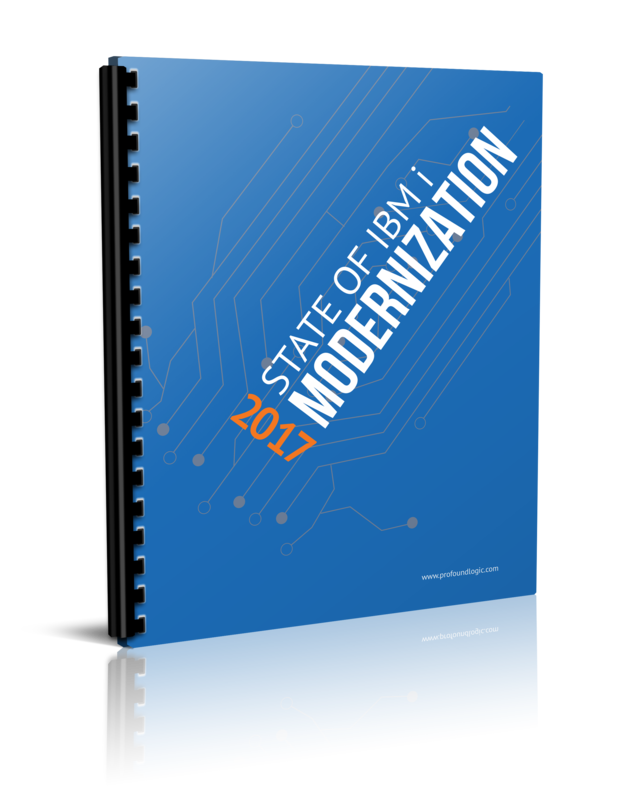 ...and get The 2017 State of IBM i Modernization White Paper FREE!